We have a beautiful new library in our little town. Everything is modern and clean, including the bathroom. But using the bathroom just got more difficult. One needs directions to flush. 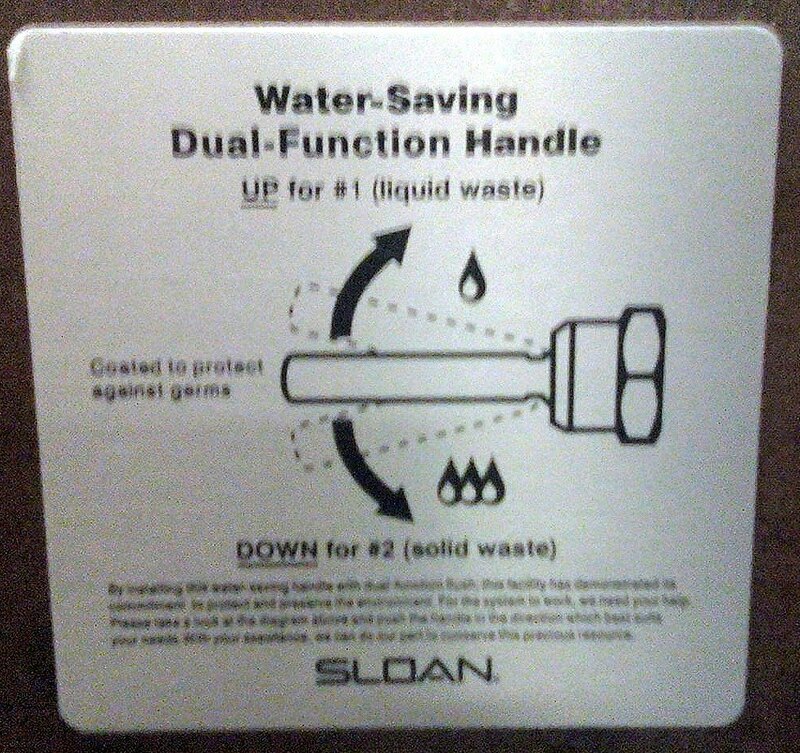 In case you can't read my blurry camera phone photo, you must push the handle up for #1 liquid waste and down for #2 solid waste. 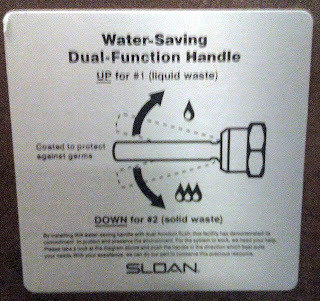 I thought using the code words #1 and #2 for our human waste was something little children found funny. Such as poopoo head. But no, it's going green terminology. We are very green in our little town. Remember when you could go #2 without worrying that you were killing a polar bear? Fun winter pictures on your banner! I like that the #1 has 1 drop of liquid and #2 has 3. I don't know why I think that is funny.